In a move that will provide a more comprehensive list of digital services for its clients, Techmobia has acquired LSquare technologies. The purchase will better serve Techmobia clients with a broad spectrum of App and website development services on top of Techmobia’s already existing mobile centric communication services. 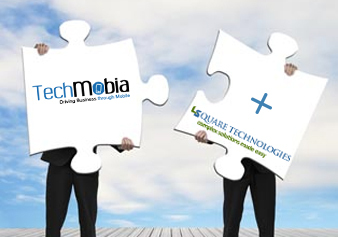 The purchase of LSquare technologies will add a strong digital marketing portfolio to Techmobia’s strong suite of customer engagement solutions. Techmobia was looking at expanding its digital services and enter the strongly competitive app and web development market, LSquare technologies with its previous experience in this space was the ideal candidate for acquisition. The CEO of LSquare Technologies was a former employee of Techmobia and has worked with its management for a while now. “Techmobia is looking at being a one-stop digital services provider for its clients. We are also going to expand into the app development space. Acquiring an experienced company like LSquare puts us on an accelerated path to meet these goals”, says Raj Singh, MD Techmobia. Techmobia is an independent technology-driven company, founded by a team which has over a decade of exclusive experience in mobile marketing sector. Techmobia serves some of the biggest and most reputed organizations across FMCG, Consumer durables, Telecom, E-Commerce, Media, Financial Services and NGOs. Their SaaS cloud-based technology and well experienced staff have helped them create highly customised and integrated mobile-centric communication solutions. LSquare technologies is a web and app development firm that has worked with several start-ups and small businesses. They have an experienced staff that has developed several mobile apps and websites as well as enterprise solutions for small companies. The combine expertise of Techmobia and LSquare technologies will bring innovative and world class products to businesses and individual customers.